My team thought about what to do with our old things and came up with the idea of repurposing them for a better cause. Through various volunteering experiences, we know that there are many people who are less fortunate than us. Through our small efforts, we hope to make people's day. It not only allows people to find non-profit shops to donate their item to, but also enables them to upload their products on BeLEAF to donate to buyers directly. The latter option allows a intimate connection to form between the buyers and donors. Buyers not only find a way remove things they don't need in their live, but also walk away knowing that they've made someone's day. 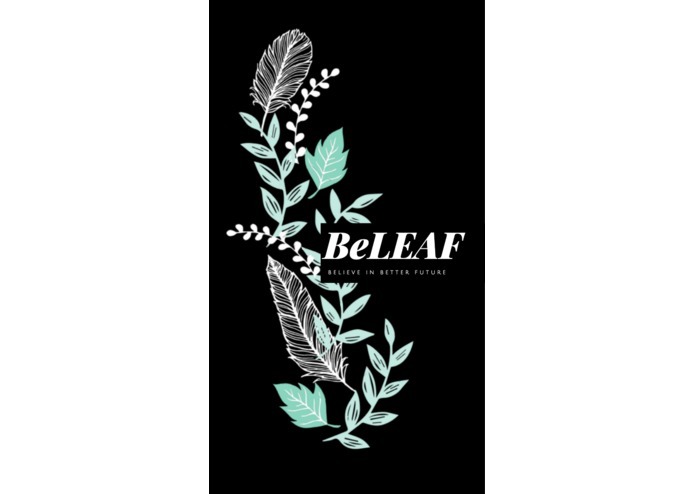 BeLEAF also exists as a platform for people who are financially limited to shop for free. As the old saying goes, "one man's trash is another's gold". We hope that through this website people will find happiness in life. We used HTML, CSS, JS and Firebase to create a web app. To widen the accessibility, we used Android Studio to create an app version of the product. We had great difficulty downloading and running Android Studio. It took approximately 10 hrs to download. The iMacs did not support the simulator, so we couldn't use them. We were also pretty new when it came to the use of Firebase. It took a while figuring out how everything fitted together. We created an android app. The mobile site can create users upon email and password input. We learned that while working hard is important, it's also necessary to seek help if we need it. This way, we will save time and do well in on the long run. The next step is to create user profile and allow users to customize their accounts. 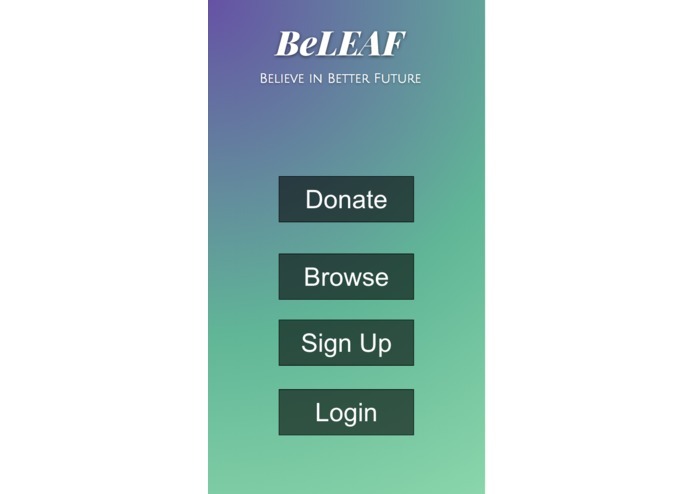 Next, we would like to allow donors to be able to upload the product that they are planning to donate onto BeLEAF. We will also improve the visual aspects of the mobile app and include more functions that includes user personalization of what items they want to buy and etc. On top of these things, we would like to include a rating and messaging system to authenticate the quality the products on our website.